Cite this page: Lieberman JA. Leishmania. PathologyOutlines.com website. 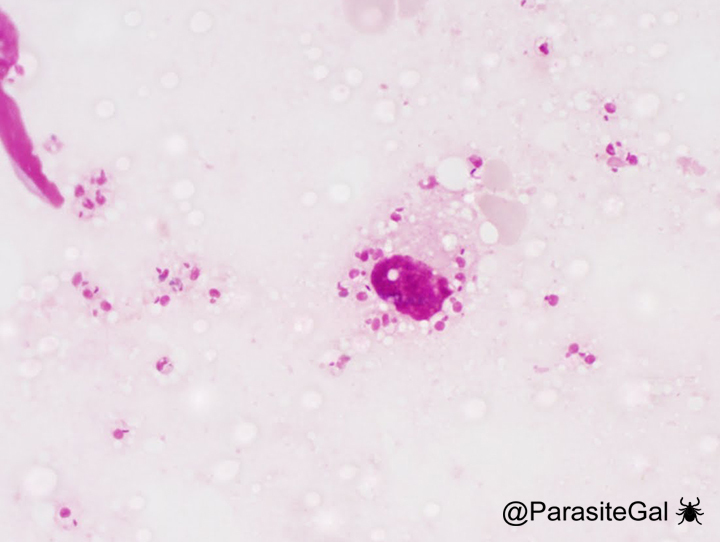 http://www.pathologyoutlines.com/topic/parasitologyleishmania.html. Accessed April 23rd, 2019. A 40 year old immigrant from a rural community in Northeastern Brazil presents to the clinic with a mildly painful, slightly itchy ulcer on his left shin. The lesion first presented 2 months ago as an erythematous lesion and has evolved to a 0.9 cm diameter, symmetric ulcer, with raised edges and a slight crust. He is afebrile and vital signs are stable. Physical exam is negative for pedal edema and stasis dermatitis. He is treated for mild hypertension but no other medical problems. Laboratory evaluation reveals an Hgb A1c of 6.1%. What is the most likely cause of this patient's skin lesion? A 28 year old female Peace Corps volunteer of French and Scandinavian descent returns from Bolivia with a chronic, nonperforating erosion of the nasal septum. She has no other medical problems and no systemic symptoms. What is the best diagnostic approach to identify the cause of this patient's nasopharyngeal lesion? D. The patient has returned from an area where leishmania is endemic and where mucosal leishmania is particularly common. The diagnostic approach of choice is evaluation of tissue. However, tissue should also be sampled for culture to rule out other infections (fungal, bacterial), including rhinoscleroma (Klebsiella rhinoscleromatis) and botryomycosis (S. aureus). Acid fast organism infections are less likely than Leishmania in this immunocompetent individual. Fungal stains may be negative, even when organisms are isolated by culture. 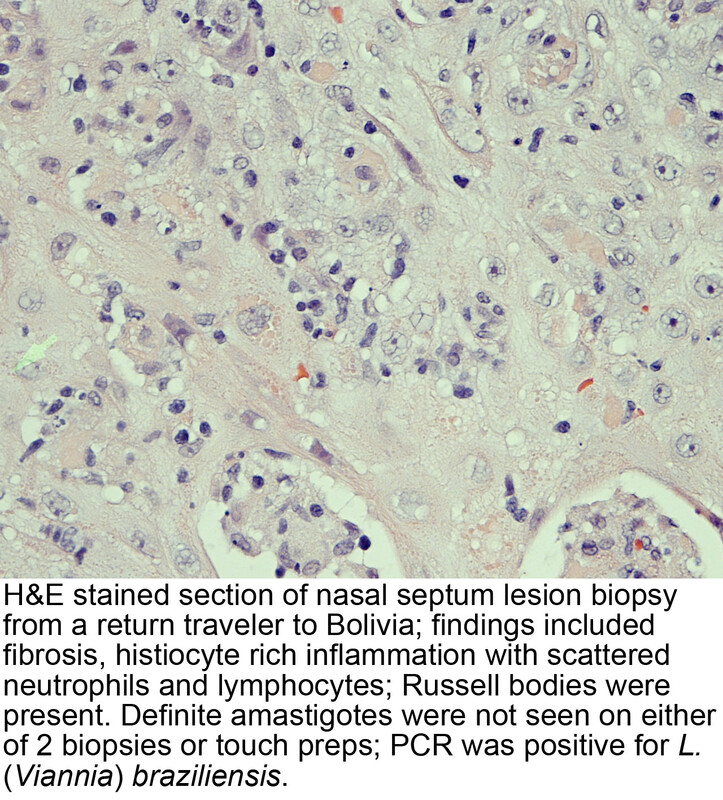 Flow cytometry would be useful in the diagnosis of an NK / T nasal type lymphoma (midline granuloma) but these aggressive lesions are more commonly associated with men of East Asian descent. A 21 year old male soldier returns from deployment in the Middle East with fever, weight loss, anemia and an enlarged spleen. Thin smear of his peripheral blood demonstrates monocytes with cytoplasmic inclusions. What is the most likely risk factor for his infection? 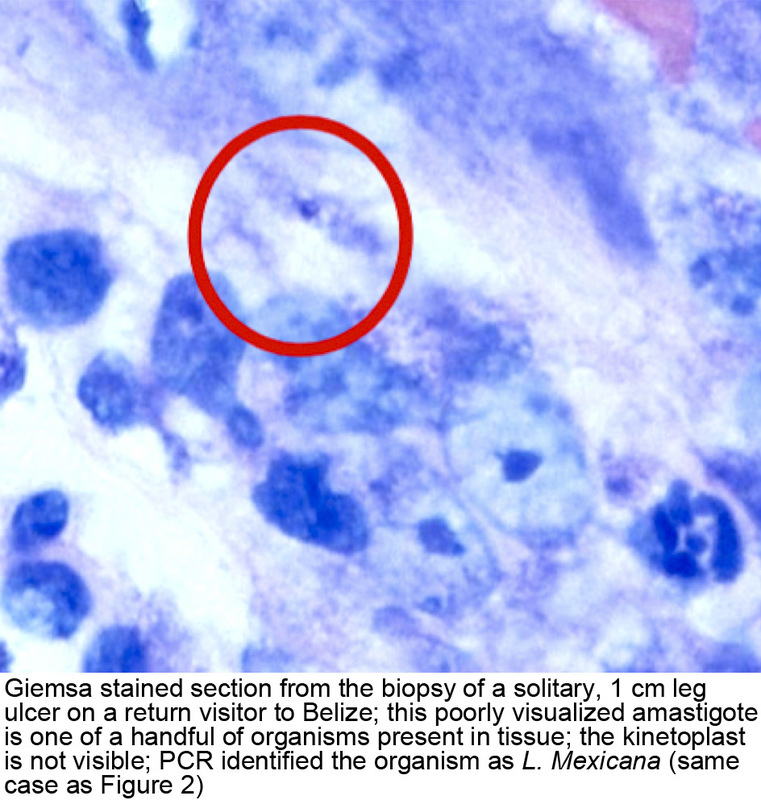 C. The patient recently deployed to a Leishmania endemic area and presents with possible visceral leishmaniasis. The most important risk factor is an exposure to sandflies. 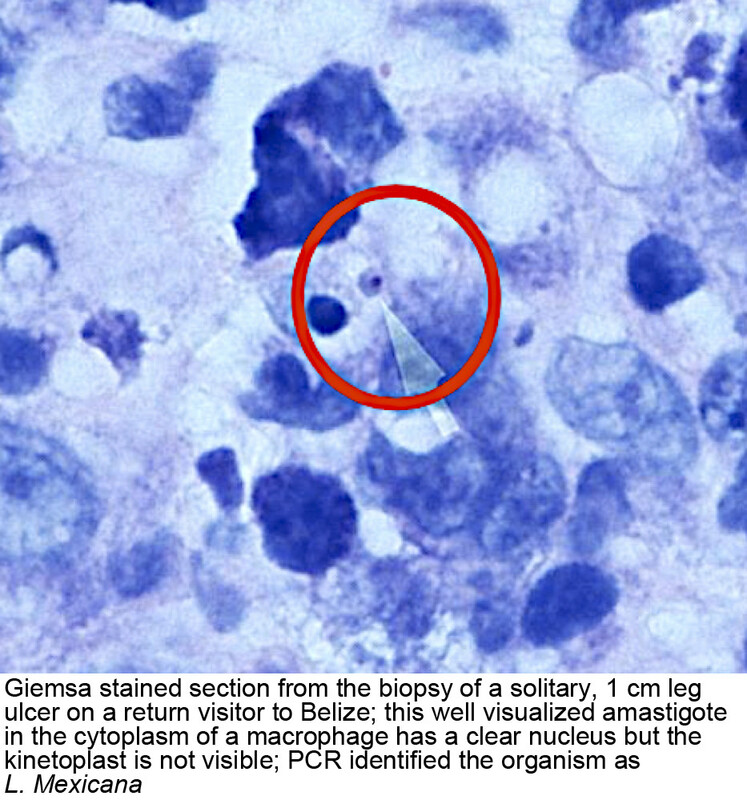 Leishmania spp is a vector borne parasite transmitted to humans when promastigotes are injected and phagocytosed by monocytes. These morph into amastigotes which can be seen on peripheral smears as round forms with a nucleus and often a smaller nucleus-like kinetoplast. Although dogs are likely an important reservoir for Leishmania spp transmission, transmission requires the parasite cycle through the sandfly stages.